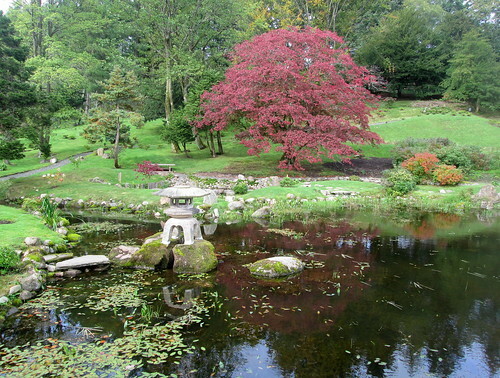 This entry was posted in Gardening, Scenery, Scotland and tagged Cowden Castle, Japanese Garden by Katrina. Bookmark the permalink. 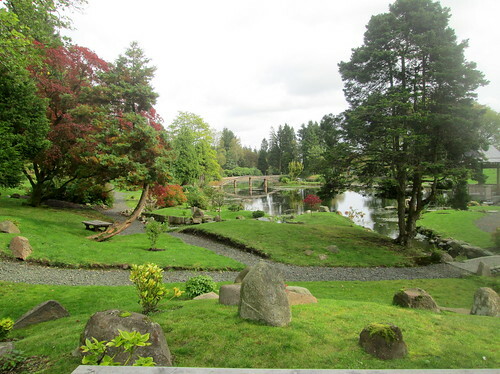 I’ve never considered myself a fan of Japanese style gardens, but this one is quite beautiful, and in such a lovely setting. I would definitely enjoy a visit there if only it were closer:). Thanks for the photo tour. 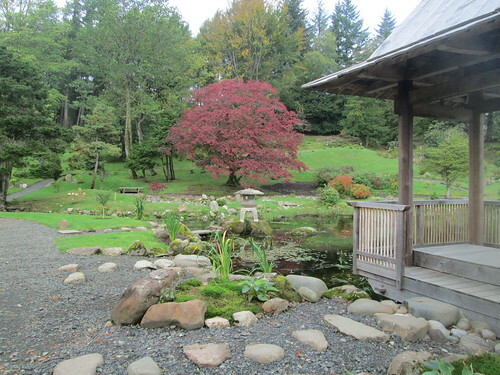 I’m not keen on the gravel Zen gardens but love the Japanese maples and conifers and the use of large stones in the designs. There should be carp in the water but I don’t think they’ll put any fish in as birds would eat them. Thank you for that, I am close enough to visit and think, like you, I’ll go next year in May. 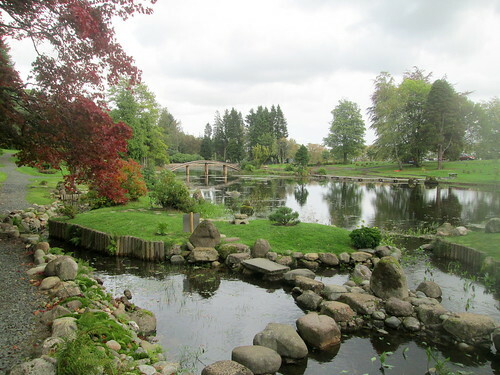 It looks lovely, very tranquil. Maybe by next May they’ll have completed the work there. I hope you enjoy it. 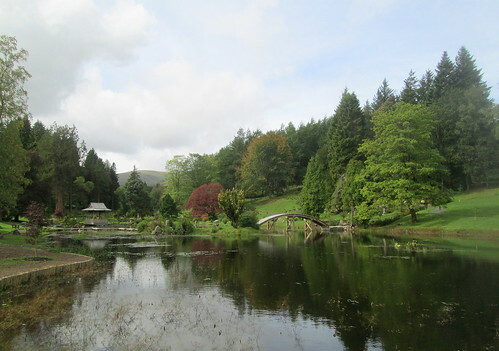 What a lovely, tranquil place. 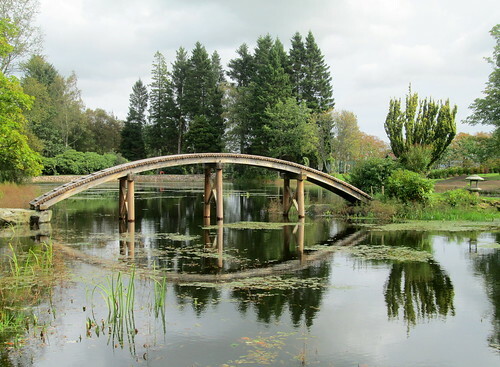 Katrina, your photo of the arched bridge with the tall pines behind is gorgeous! Thanks, I was quite pleased with that one! Lovely garden. 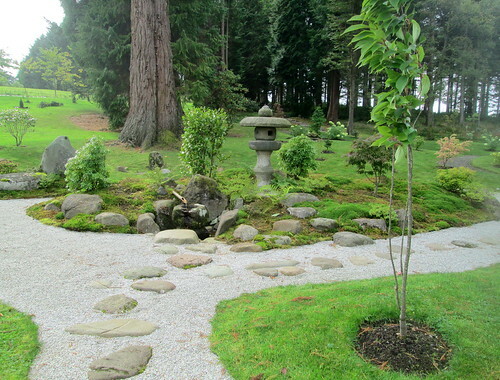 Your photos have captured the beautiful and satisfying balance and tranquillity of the place. Thanks. I imagine that the garden will just keep getting better over the years.